Now, this is how my UFO problems always begin. I haven’t finished my Grandmother’s Flower Garden yet, but it’s less than six weeks until the holidays, and I have promised my teenage daughter that she can have a new quilt for a Christmas present. So….the GFG will be put aside again in favour of a new and younger rival. But not abandoned. I’ll be back! I promise. Teenage daughter has chosen red and black as her colour theme. Not my favourite colours, a bit dark and dramatic for me, so I wanted a pattern that would go together quickly, look modern and young and cool, but still be a nice quilt that will stand the test of time. I’ve started cutting the fabrics and laying the pieces out on the kitchen table to audition them for the final cut (excuse the pun). I use sticky notes to identify the different size pieces. 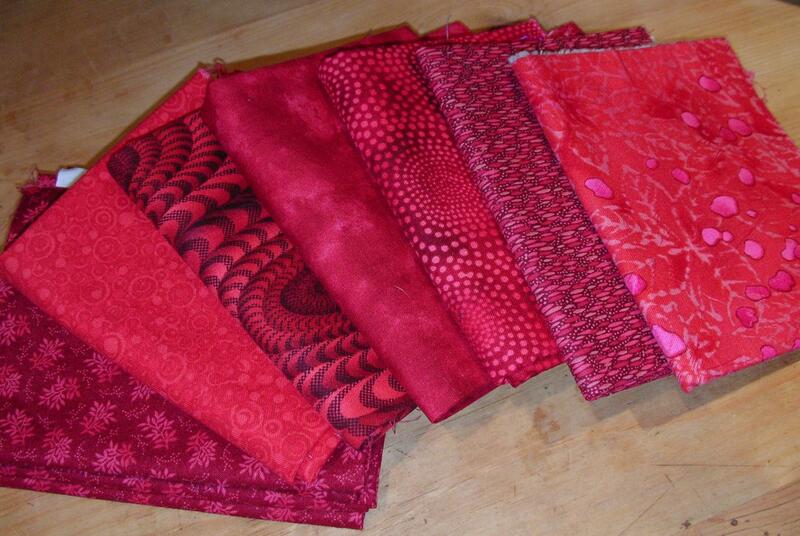 Sometimes there is no rhyme or reason to a fabric stash. 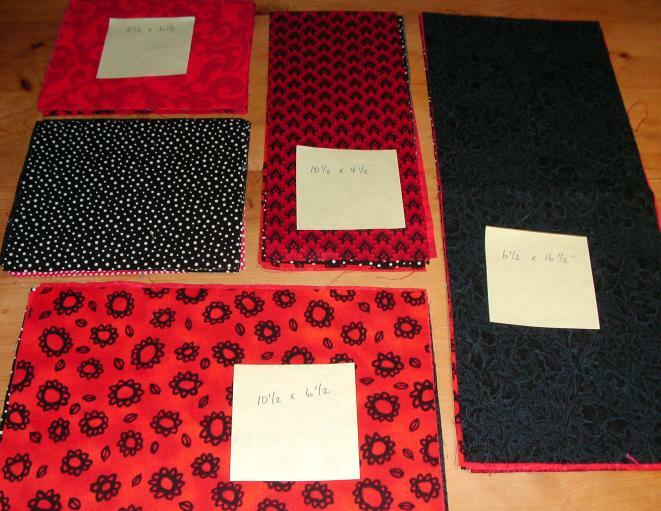 For someone who isn’t keen on red and black together, I seem to have a very good collection of fabrics in this colourway. 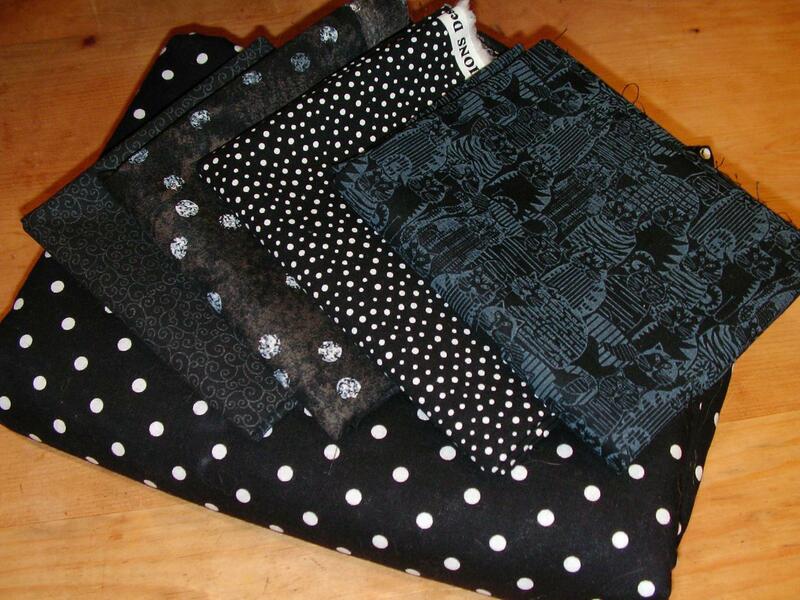 I’ll be able to make this quilt top totally from stash and still have enough left over for backing and binding.